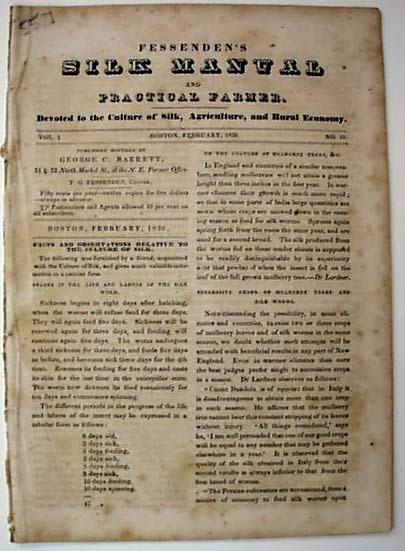 FESSENDEN'S SILK MANUAL & PRACTICAL FARMER, Boston, 1836 Has news and articles about the "Culture of Silk" and other agricultural endeavors. Octavo-size with 16 pages. Some foxing. A rare title.